Updates are crucial for the lifecycle of a product. The Perodua Axia has remained largely unchanged since the day it was launched back in late 2014. For 2017, we understood that Perodua is working on the updated version of the Axia, which could bring with it new features and revised styling. Though no photos were provided, we can expect Perodua to refresh the outgoing Axia’s exterior, possibly giving the Axia an updated front fascia and rear end. The range-topping Axia Advance is likely to continue to offer projector halogen headlights, though we can foresee Perodua offering this on all variants of the new Axia. Elsewhere, the familiar 1.0-litre 1KR-DE2 is presumably going to power all variants of the Axia, matched to a four-speed automatic or five-speed manual. As before, Perodua could offer up to four variants of the new Axia, with the base E targeted at driving schools. UPDATE: According to Funtasticko, the updated Axia could receive the same Dual VVTi mill that currently powers the Perodua Bezza. The higher end Axia SE and Advance models could also see the addition of a push start button, plus a new infotainment system with MirrorLink connectivity. 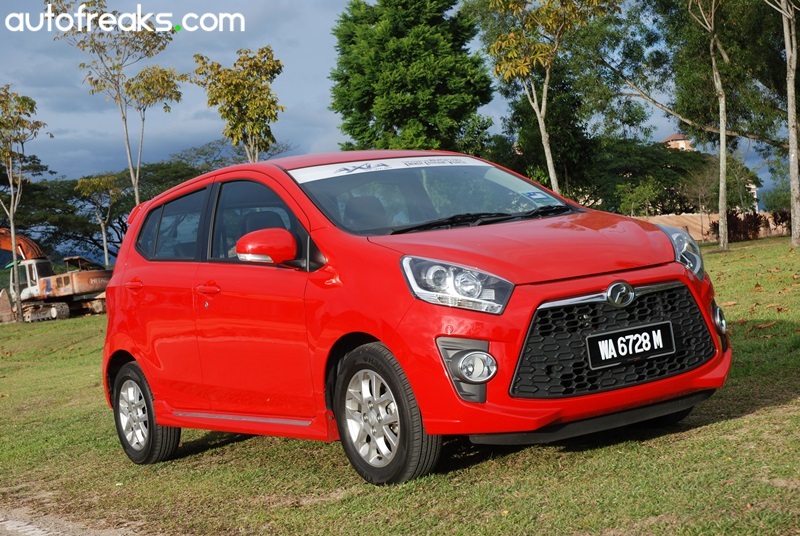 Perodua is also said to drop Cherry Blossom and Lemon Grass Green colour options.